“The scepter shall not depart from Judah, nor the ruler’s staff from between his feet, until tribute comes to him; and to him shall be the obedience of the peoples” (Gen. 49:10). Reuben lost the privileges of the firstborn because he slept with his father’s concubine (Gen. 35:22; 49:3–4). Wanton violence and anarchy cost Simeon and Levi the same right (chap. 34; 49:5–7). Jacob’s next son in the birth order is Judah (29:31–35), and so we ask: Will he share the fate of his three older brothers? An overview of Judah’s life is necessary to understand today’s passage. Recall that Judah sinned grievously when he led the sale of Joseph into Egyptian slavery (37:12–28). Later on, he wickedly failed to provide a husband and thus an heir and provider to his daughter-in-law, Tamar (38:1–23; Deut. 25:5–10). Were this the end of his story, Judah would have lost the greatest portion of Jacob’s favor as well. However, Judah showed himself sensitive to the Spirit when he confessed his evil deeds concerning Tamar (Gen. 38:24–26). Judah’s repentance bore its fullest fruit later on when he offered to sacrifice himself and take Benjamin’s place as Joseph’s slave (chap. 44). Judah inherits the firstborn’s rights because of his selflessness. Jacob declares in today’s passage that Judah’s brothers will praise Him and that he will have his hand “on the neck” of his enemies (49:8). In other words, Judah will triumph over his foes. Jacob’s other sons will also bow to Judah, according to the same verse. This predicts future events, for Joseph received this homage during Judah’s lifetime (44:14). Of course, Judah later becomes Israel’s chief tribe, the initial head of the nation after Joshua’s death (Judg. 1:1–2) and the clan that produces David and his descendants (1 Sam. 17:12a; 2 Sam. 2:4a). John Calvin comments: “The kingdom which he [Jacob] transfers to the tribe of Judah, he declares shall be no common kingdom, because from it, at length, shall proceed the fullness of the promised benediction.” The abundance depicted in Genesis 49:11 proves Calvin’s point. One of Judah’s sons will rule over a kingdom so blessed that costly vines, the source of wine and income, will be hitches for donkeys. These animals would surely chew through such vines, but this is not a problem since the number of vines they own in the kingdom is so vast that losing them will not cause financial ruin. 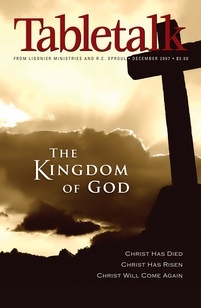 The King and His kingdom will be the subject of tomorrow’s study. For now, consider that Judah’s repentance and exaltation illustrates the biblical principal that “whoever humbles himself will be exalted” (Matt. 23:12). Judah’s greatest son, Jesus of Nazareth, is the final object of this prophecy, but we too will be lifted up if we humble ourselves in service to the Father as He did. Humility and self-sacrifice is the only path to exaltation.